It has been a mixed week for Lady Gaga. The launch of her new fragrance, called 'Fame', has been a huge success, but her record company has told the singer to lose weight after the publication of some unflattering pictures from her current tour. The fragrance was launched with a suitably avant-garde event at the Guggenheim Museum in New York. Yoko Ono, Marc Jacobs, Paris Hilton and Lindsay Lohan were among the stars who turned up to watch Gaga climb into a giant perfume bottle and pretend to sleep for two hours. It seemed to be effective as the fragrance has already sold six million bottles. 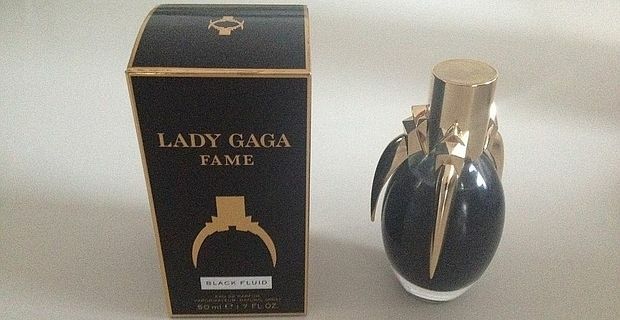 "It's the second fastest selling fragrance after Coco Chanel," she bragged on Twitter. That should keep the singer cheerful while she embarks on a diet. Executives at Universal Records have asked Gaga to exert a little self-control after they had to order some new outfits for the next leg of her tour. "The tight, skimpy outfits weren't doing anything for Gaga's new fuller figure,” a source told Radar Online, "so Universal ordered more flattering and better fitting costumes for the rest of the tour. She loves to eat, but because of her tiny frame it shows if she doesn't work out as much as normal. Executives told her to quit gorging on her favourite foods." It seems that Gaga's Dad is to blame. Joe Germanotta owns an Italian restaurant and encourages his daughter to try out all the latest items on the menu. The latest pictures have provoked some of the crueller tabloids to call the singer "Porker Face".